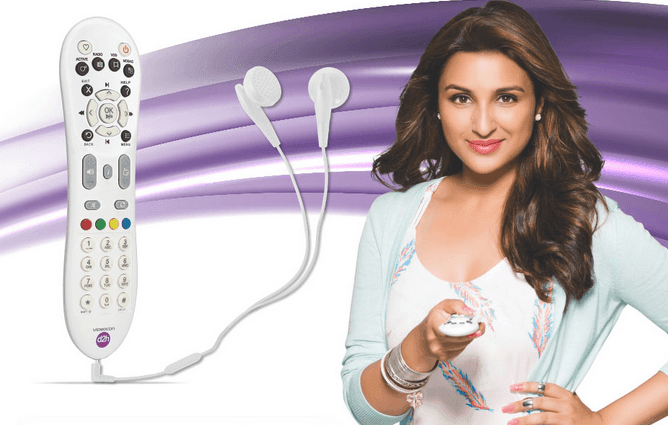 Videocon D2H Now Offers Remote Control with 3.5mm headphone jack! Innovativeness is something that attracts consumers on regular basis. DTH field has witnessed many such innovations like the HD TV and Set top box with an internal ability to record the programs and playback at your command. Videocon has come out with a feature that is completely out of box and would have never occurred to many people that such a thing can be brought to existence. Television has for long adored the hall with all the Family members sharing the same television. The television can sometimes turn into a nuisance due to the high volume. Videocon has addressed this problem brilliantly by introducing a wireless radio frequency remote control that has a 3.5mm jack wherein you can plug your earphones and watch the tv without disturbing others. This new level of personalization was previously unheard in TVs. The best part is that if you currently own a Videocon DTH then you can just check for your set top box compatibility here and purchase the remote control online. This new innovation will force other DTH operators to embark on a journey to personalize the TV experience. The TV manufacturers should also put some efforts in this regards. Videocon is known for its affordability and decent after sales. Ye muze kaha milega. …. ?